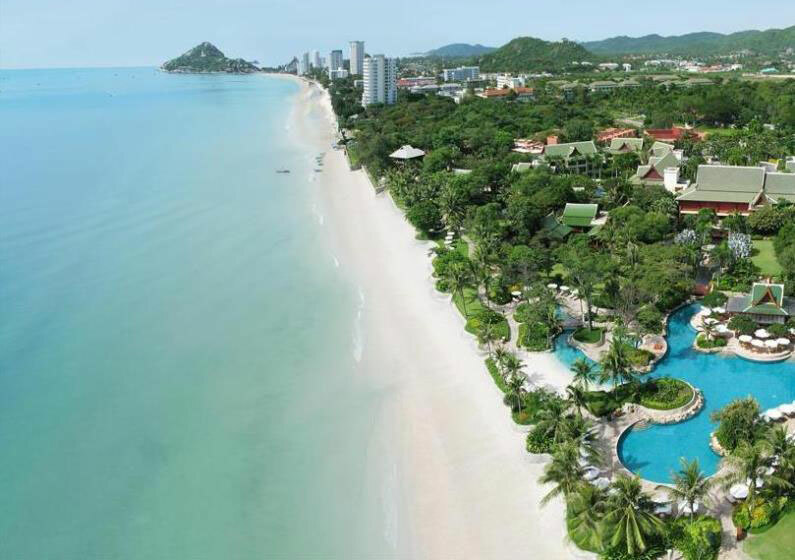 Located in Kao Takiap area of Hua Hin, which is famous for its royal legacy, beautiful beaches and golf courses, Hyatt Regency Hua Hin is known for its recreational facilities, including the region’s most-enjoyable array of swimming pools, a giant waterslide and the award-winning THE BARAI Spa. Three-hours by car from Bangkok, Hyatt Regency Hua Hin and THE BARAI is a satisfying travel destination for families, romantic escapes, business meetings, conferences or wellness holidays. Short Description: Located in Kao Takiap area of Hua Hin, which is famous for its royal legacy, beautiful beaches and golf courses, Hyatt Regency Hua Hin is known for its recreational facilities, including the region’s most-enjoyable array of swimming pools, a giant waterslide and the award-winning THE BARAI Spa.